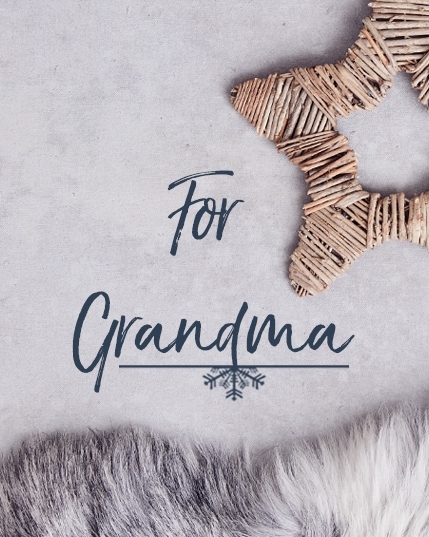 Grandparents Gift Guide | Blog | Celtic & Co.
At Celtic & Co. we choose only the finest organic or natural fibres for all of our products because they are completely renewable, sustainable and a pleasure to wear. We're experts in crafting luxury items from sheepskin, having worked with these materials for nearly 3 decades. More recently, we have expanded our range to offer luxurious gifts and accessories, which are made as close to home as possible and designed to stand the test of time. Share the gift of sheepskin with your loved ones this festive season. 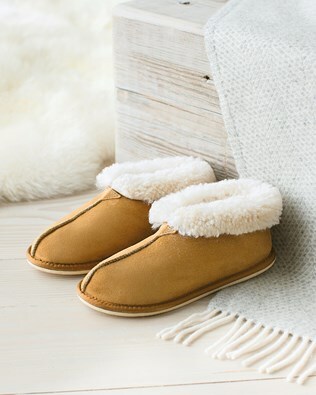 Envelop your feet in warmth with our sheepskin bootee slippers. Made in Cornwall, our best-selling slippers will make the perfect gift for your grandmother this festive season. Turn up the woolly cuff for cosy ankles. Perfect for cosy weekends by the fire. 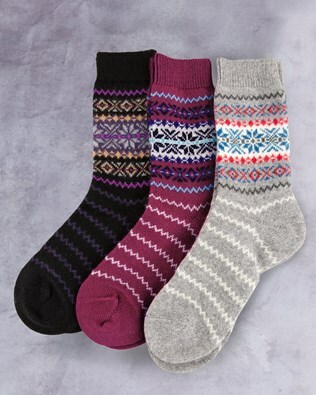 Made from pure cashmere, these super soft socks are decorated with traditional Fair Isle patterns. An ideal socking present for your grandmother. 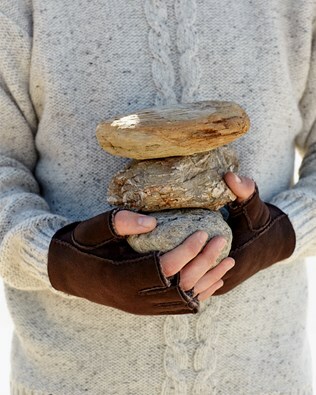 Keep hands toasty with our collection of sheepskin gloves. Available in three understated colours, these hand stitched fleecy 100% sheepskin gloves are perfect to take out on a country walk or to keep hands warm after a day on the slopes. Glam up your winter style with this luxurious Toscana sheepskin hat. 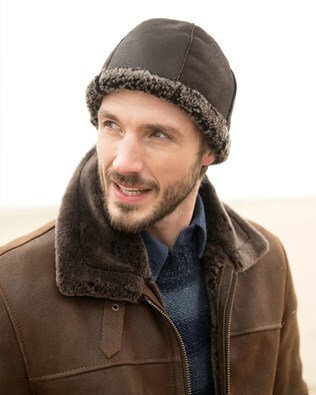 A must have accessory when the temperature drops, this hat, made from 100% sheepskin is perfect for winter walks and looking great at any outdoor winter event. 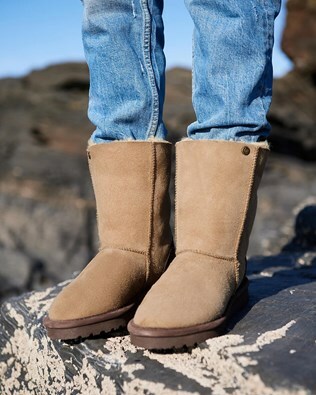 There is nothing like the feeling of being warm and cosy, and these sheepskin boots are the ideal present for someone who loves to have toasty feet. Made from pure sheepskin, these boots are designed to withstand the elements no matter what winter throws at them. Does your grandad love the great outdoors? Then give him the gift of a sheepskin hat! Made in Great Britain, this stylish beanie is made from 100% sheepskin and is perfect for enjoying a winter walk. Looking for a gift that is a timeless classic for your grandfather? 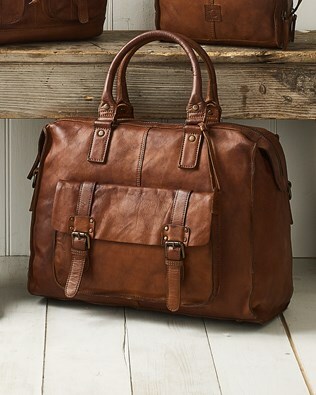 Our aged leather holdall is crafted from pure leather and is ideal for adventurers who love to disappear on weekends away. With a short handle, a long shoulder strap and internal compartments to organise your belongings, our classic leather holdall will be a hit this Christmas. Perfect for a garden loving grandfather. Made from 100% sheepskin, our fingerless gloves keep your hands warm while keeping your fingers free for getting all those cold weather jobs done. The ideal present for a man who is constantly on the go. Give the gift of cosy feet this Christmas! These slippers are what every man needs at the end of the day. 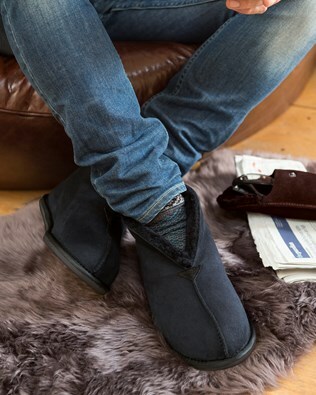 Warm and toasty, our pure sheepskin bootees invite you to sit down by the fire and relax. 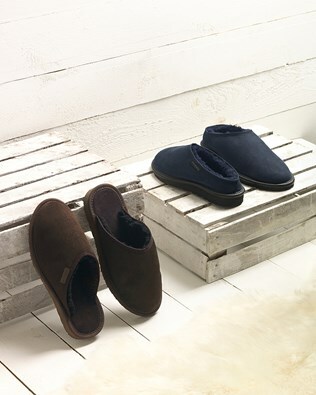 Boasting a light but durable sole, our men’s sheepskin slippers can also be worn outside if needed. 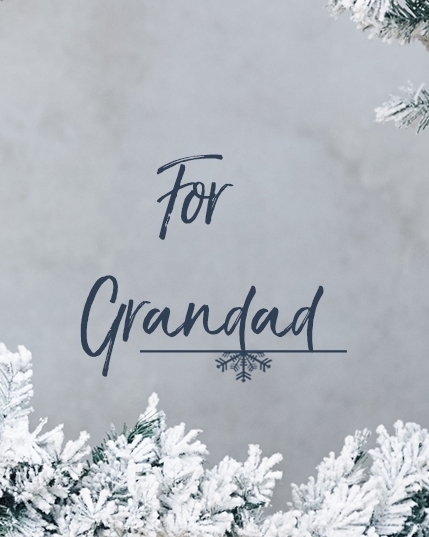 The perfect Christmas gift for the grandfather who loves fuss-free style. Made in Cornwall from pure sheepskin, these clogs are ideal for padding around the garden or for tinkering in the shed. With easy slip-on slip-off design these clogs will keep feet cosy as winter sets in.